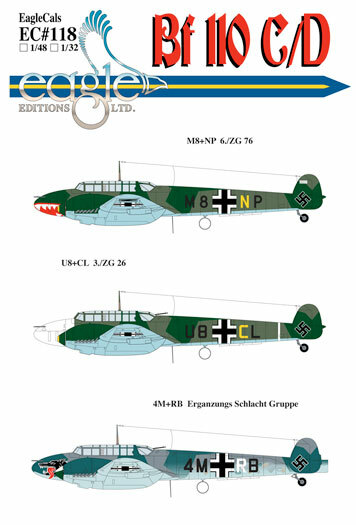 Three new decal sheets for Dragon's 1/32 scale Messerschmitt Bf 110 C-7 kit will be released by Eagle Editions during October. 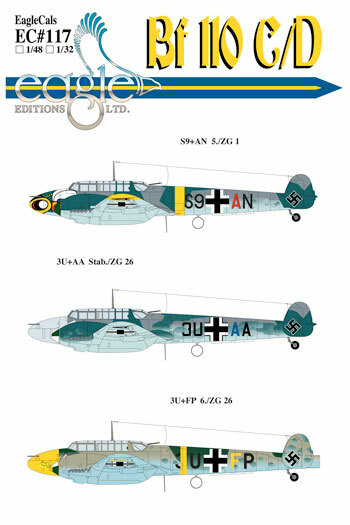 These will cover three Messerschmitt Bf 110 C/D subjects on each sheet. 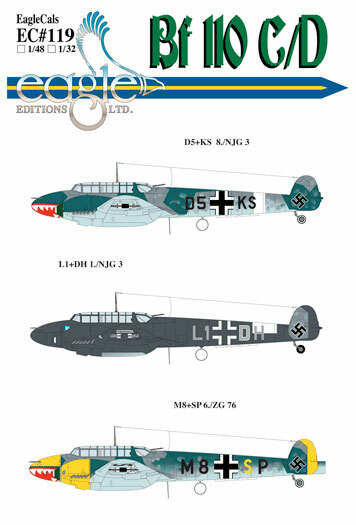 The sheets will be available in both 1/32 (for the Dragon kit) and 1/48 scale (for the Eduard or Fujimi kits). More information about pricing and release dates will be available in the coming weeks.